Found Family wants YOU to be their special guest! 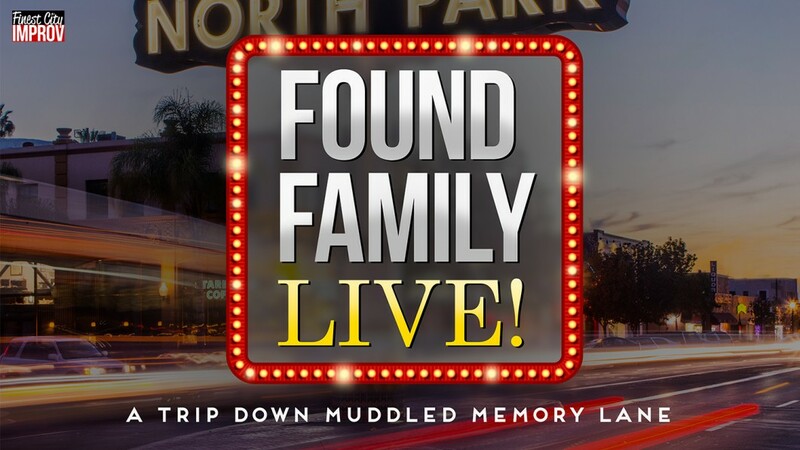 Bring your friends, family, and coworkers to see our comedy pros create a show based on YOUR stories and YOUR life! All you have to be is honest. They’ll take care of the funny! If selected, you’ll get 4 free tickets to the show and a Finest City Improv t-shirt to wear with pride. Best of all, you’ll have a new found family to make fun of! Apply to Be Our Guest! If selected is there a specific date that you would like to be the guest for? If selected are there specific dates that you are NOT available for?